Beautiful American scenery will advertise your logo with speed – 24HR! 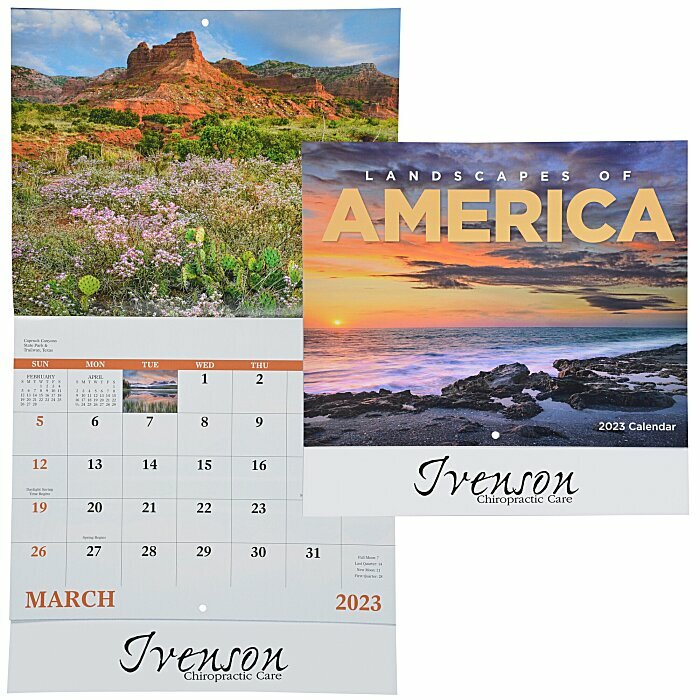 This promotional appointment calendar features a 13-month spread of full-color American landscape photos. Constructed with durable, 60# gloss paper stock for a long-lasting appeal. Perfect for hanging at the office, at home on the refrigerator or as a thoughtful giveaway. Your message and contact information peek out from the bottom of the extended back cover of the calendar. For the spiral-bound version, please see item #585-SP-24HR. Size: open--19" x 10-7/8"; closed--10-1/2" x 10-7/8"
Your price includes a black imprint on the the bottom of the calendar..